I stayed at the Hyatt in 2015 and I really liked my stay. Since then many others of my readers have stayed there and enjoyed it. Being next to the Kabah and in the new development, it really is a five-star property in Makkah. The prices are decent as well and if you go off peak you can find some great options for as little as £114 per night. Check out the TripAdvisor reviews here and to book you can do so here with hotels.com and you will get one reward night after every 10. The new Conrad hotel is the property where I wanted to stay but sadly they had postponed the opening. I have had a few friend bloggers and readers staying there and they have only good things to say. It is next to the Hyatt and about 4minutes from the Haram courtyard but it is as well a five-star property. During the Hilton sale you can find rooms for about £150 per night; apparently, the executive lounge is great and I can’t wait to check it out. Read my review of the Conrad here or book check the best prices you can do so here. I haven’t stayed in the Hilton Suites but I have heard great reviews. It is in the same development of Jabal Omar and the closest of all to the Haram in the development. It does offer more space and some rooms overlooking the Haram. Usually, the prices for this property are higher as it offers a kitchenette facility and family rooms but you can find them off peak for about £140 per night. It is a newer property than the Hilton Makkah Towers and their family rooms. It doesn’t have a lounge access for those Hilton Gold and Diamond, however, so keep this in mind if you are booking and looking for a lounge. Which is also one of the reasons why I didn’t book it. You can book and check prices on the Hilton website especially during a sale. The Hilton Makkah Convention centre for me is considered one of the best properties for value, especially for Elite Hilton members. You can read my review of the hotel here. The hotel is a little further by walk, like 5 minutes but they also offer a shuttle to take you there especially useful for small kids and elderly. 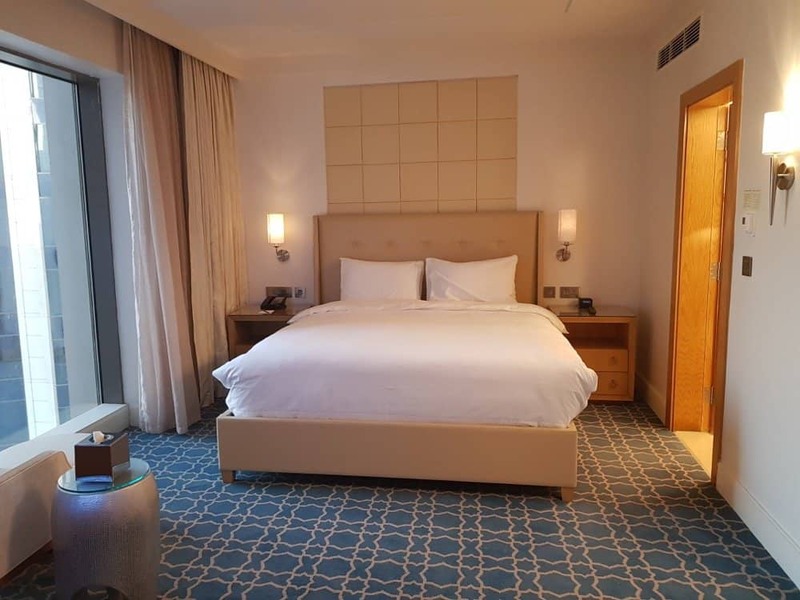 The property is new and very big and does offer great views of the Haram courtyard plus their lounge is excellent and offers dinner options in the executive lounge with cooked meals. Prices are also very good with off-peak season starting from £80 a night. I didn’t really mind the location and when I went I expected a longer walk, the only thing is it’s a little steep. You can find good prices when booking on a Hilton sale. Check out the Tripadvisor reviews here, if you are booking on a sale book on the Hilton website directly especially if you have Gold status. If you don’t then you might want to consider Hotels.com as they give you a reward night after every 10. 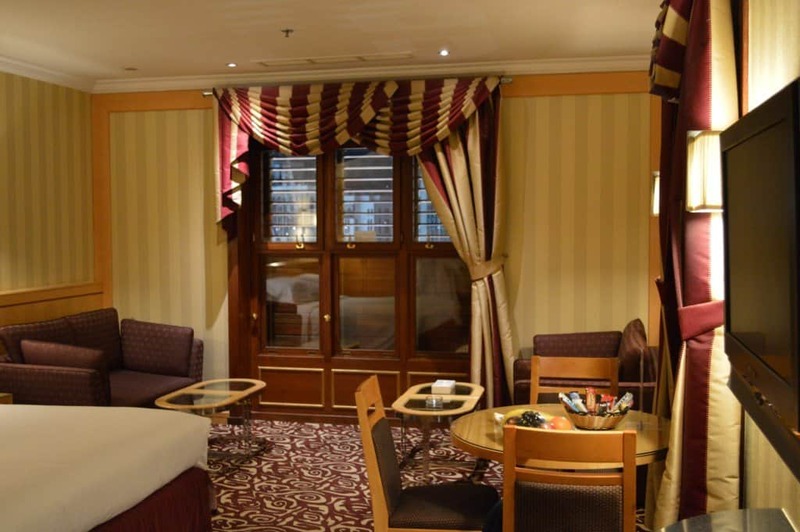 The Hilton Towers Makkah offers great value for money on so many levels. Location, it’s only a few minutes from the Kabah especially Tower 5. Price wise it is also very cheap; since the hotel is in need of renovation. It offers large rooms for the family and there is a kitchenette. I know they are renovating currently as it is an older property so don’t expect it to be of a 5-star quality. I would say more like 4 but considering you can have a room for £85 a night it’s a bargain. You can book directly on the website or check out the TripAdvisor reviews. The Marriott is a new property, almost 2 years old and it fits my good books although you do need a shuttle to get to the hotel which takes you through the Hyatt property. As a new property, it is of a very good standard, it has nice views and the price is very good. Soon when the Jabal Omar development is completed it will have direct access to the Haram courtyard and then it will be in my number one books. With the new merge of Starwood and Marriott, I can’t wait to see what happens to the new properties in Makkah. With the acquisition from Accor hotels Fairmont is now a great brand to consider especially because you can earn points with your stays under the Le Club Accor hotels umbrella. Prices are decent starting from £140 a night in some off-peak seasons and considering it is in the Clock Tower you can have some amazing views. I know many of my readers especially those in Canada and the US where they had the branded credit card received some crazy upgrades to duplex apartments and stunning views of the Haram. To book the Fairmont or check any offers available here or to read the TripAdvisor reviews you can do so here. 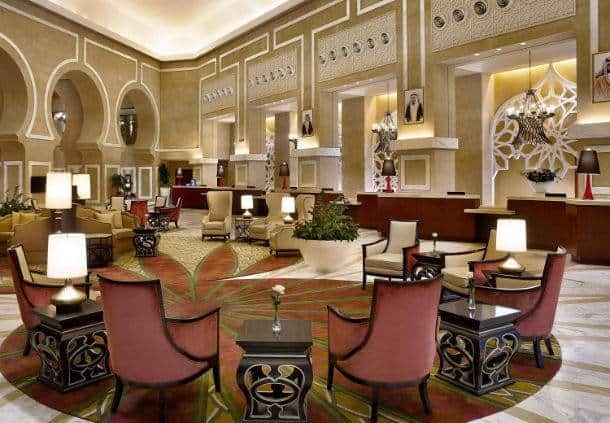 If money is not an object and you don’t care about anything else but stunning views, good service and beautiful rooms then you should check out the Raffles Hotel in Makkah. 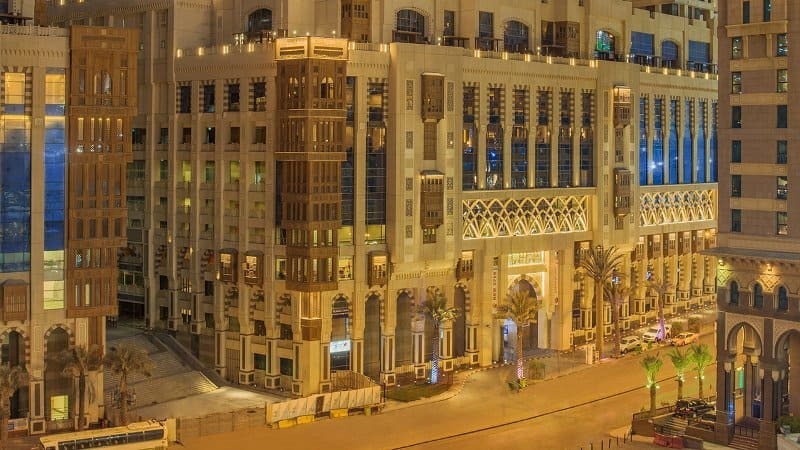 Swisshotel Makkah also ranks in the top 10 hotels in Makkah with good location within the Clock Tower as well as good quality hotel equivalent to a 4 or 5-star European one. I have heard great things about the property but also that the service can be hit and miss sometimes. The prices of the hotels are usually high around £170 plus per night. However, it does offer great views and I know many people stay there for that reason. I don’t think there is anything better than looking outside your window while resting and seeing half the city of Makkah. To check out the reviews on TripAdvisor and also the offers they have available as sometimes they are cheaper. 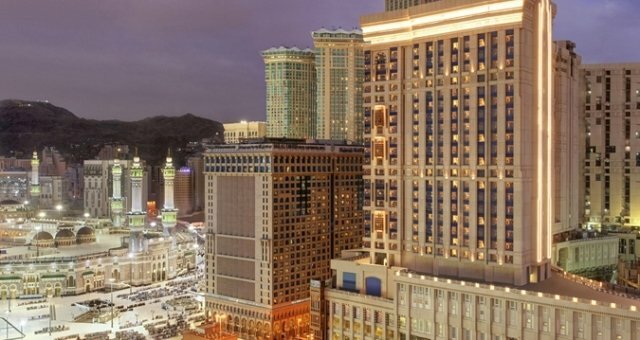 There is no doubt there are many hotel options in Makkah, many of which had they been somewhere else would not manage to charge the prices they are. But this being Makkah and one of the most expensive real estates on earth prices can be super high. When choosing a hotel it’s important to know your budget, needs and priorities. It is very easy to just overspend on a hotel when in most cases you will not be spending too much time there. If you are looking for cheap flight options to Makkah you might want to check out the free training course I have below. Or if you are after planning your own DIY Umrah for less and saving on hotels, then you might want to sign up for the Umrah course where I take you through a step by step process of saving up to 90% of hotels. I’m planning on going for umrah nest April and flights have been booked. Hyatt regency to get to the harram I’m told you have to cross the road are there any stairs to climb to get to harram or is flat ground and u just walk across. I’m going with my parents and don’t want them to have to go upstairs each time we go for salaat. This hotel has a good half board rate. Salams there are no stairs and the road is easy to cross. Retail Hotel is an amazing hotel within the clock tower – it’s literally next to the pharmacy so no long waits for the lifts as only people staying at retaj use the lift. The rooms are amaamazing with two floors!stayed there twice and service never let us down. The 2nd time we got a HUGE family apartment with the view of the Haram, after quite some negotiation though. Their breakfast buffet is eexcellent and their non Arabic managerial staff are very polite respectful and accommodating. Salaams. People should try Hilton Convention which is next to Marriott. Rates are cheaper than Hyatt and Hilton Suites. If you are a Gold or Diamond member you should get executive lounge access. The great aspect of this lounge when you compare it with Conrad is that here they serve you full meals at dinner time instead of the snacks Conrad serves up. If you not then you have the option of booking executive rooms. Mind you the hotel is a longer walk(there is a shuttle available) than the Hyatt and Hilton Suites but if you can manage, it will be worth it. Service also is excellent. Thanks for the comments totally agree. I also updated the article as it seems it missed the update. I now have a review of the Convention there too. For the Fairmont hotel, what is “The branded credit card” you mention that landed some readers with room upgrades? Zenab, this is for the US only. They had a branded credit card with benefits. Salams the Rotana hotel might be a good option and also the Hilton convention can be cheaper than most hotels in the area. The hotels in Al Abraj don’t have escalator only lifts, the ones on the site of Hyatt, Conrad, Hilton Suites have an escalator to the main entrance. If you want to avoid too many people stay on that side.